I hope you enjoy using the free arrangements from Soundsmith Music and I appreciate all the feedback and comments I get. 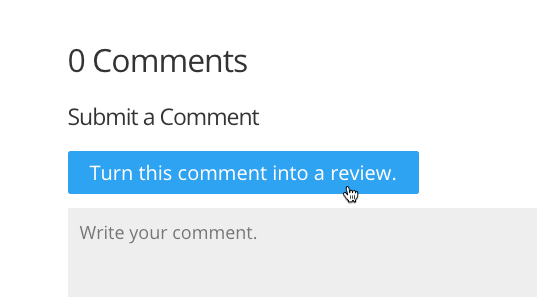 Did you know that you can turn your comment into a review? It works just like Amazon or Google. 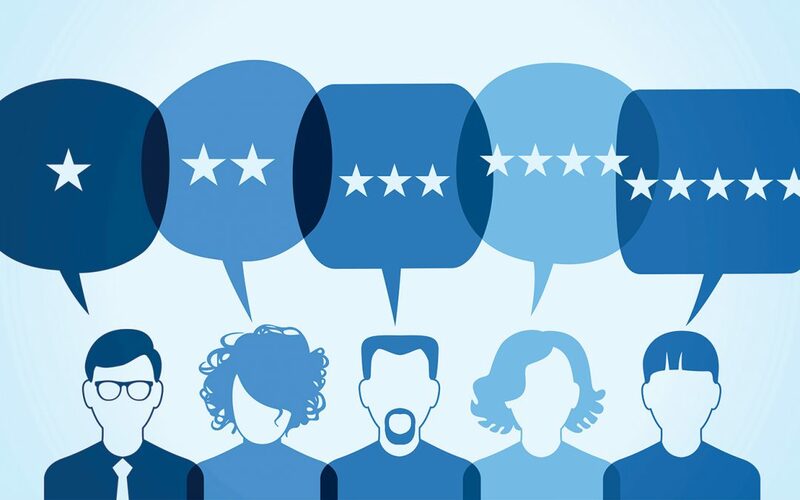 Choose from 1 to 5 stars, leave your comments, give your review a title, and hit submit. Easy! 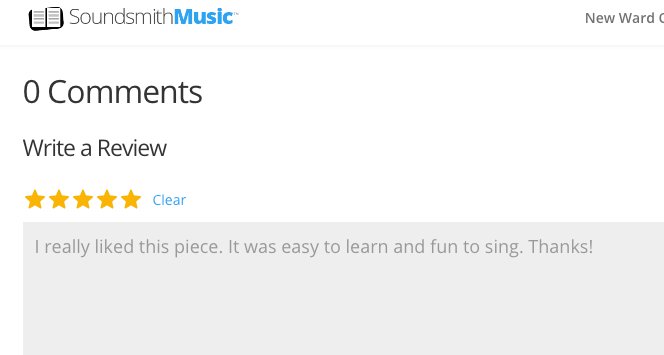 Your feedback does two important things: (1) it helps others find the right music for their choirs and (2) it helps me improve the music, and the site. 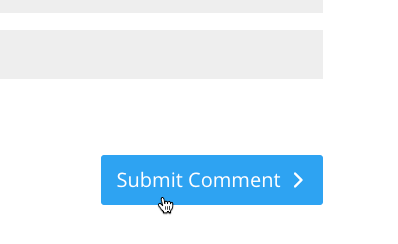 Try it now with any of the pieces in the library. 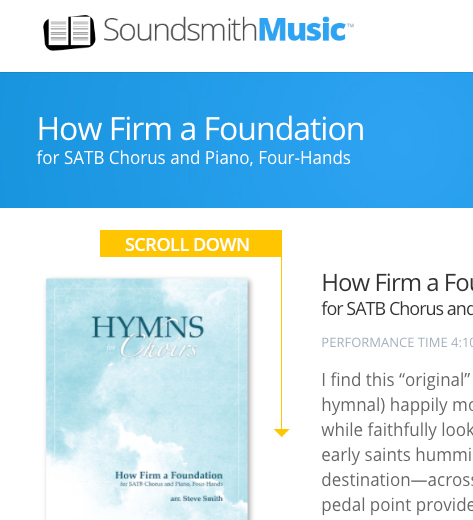 Thanks again for using SoundsmithMusic.com—and thanks for your comments!